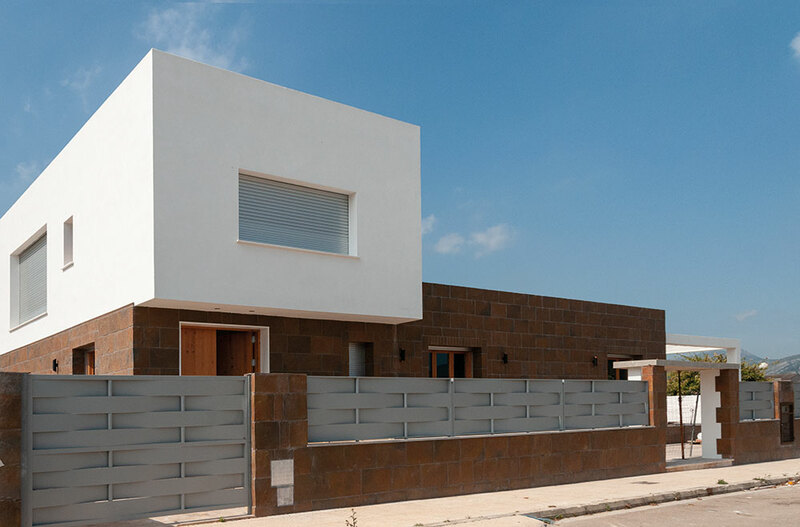 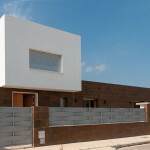 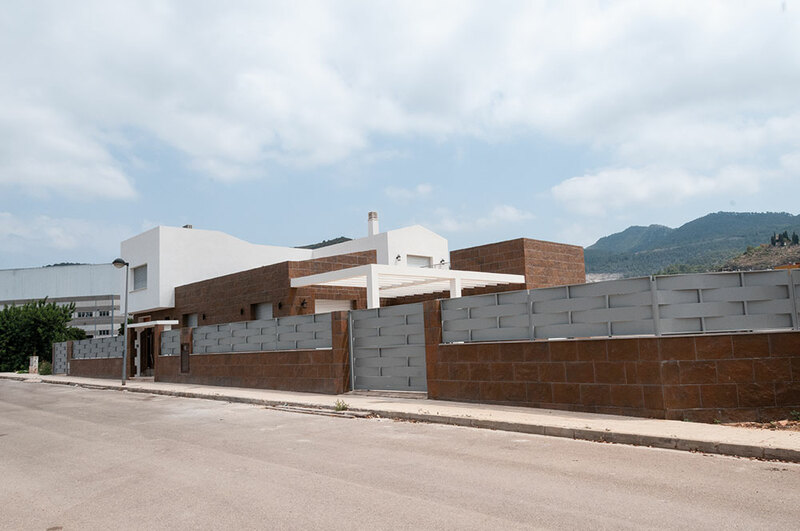 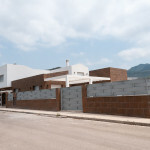 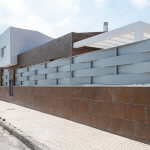 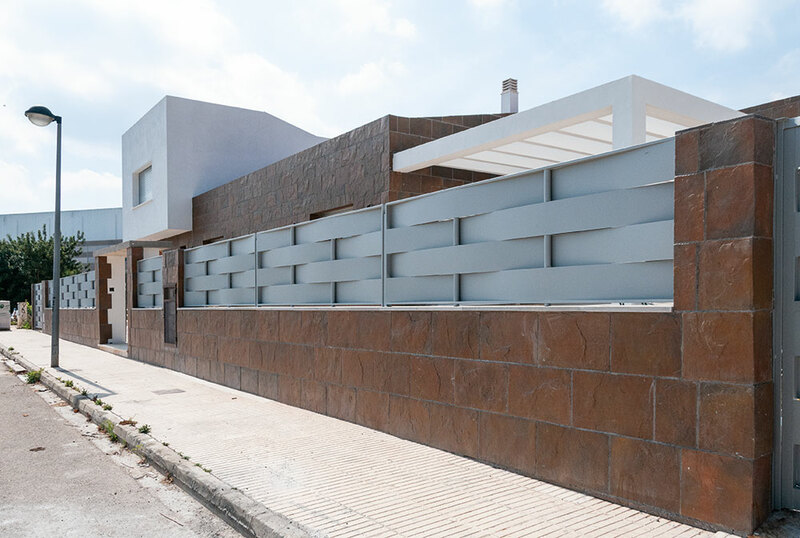 This spectacular single-family housing is situated in Valencia. 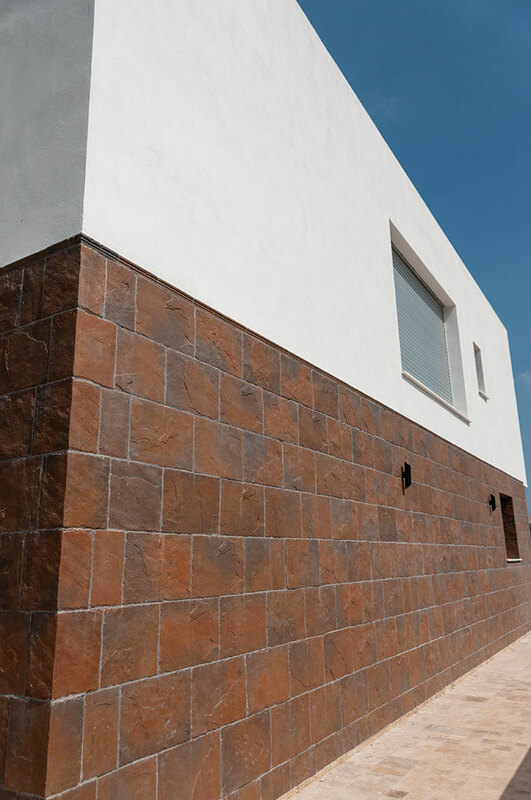 Most of the constructed surface is situated on the ground floor and is cladded with our model Pizarra in the new colour “cobrizo”. 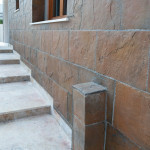 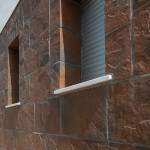 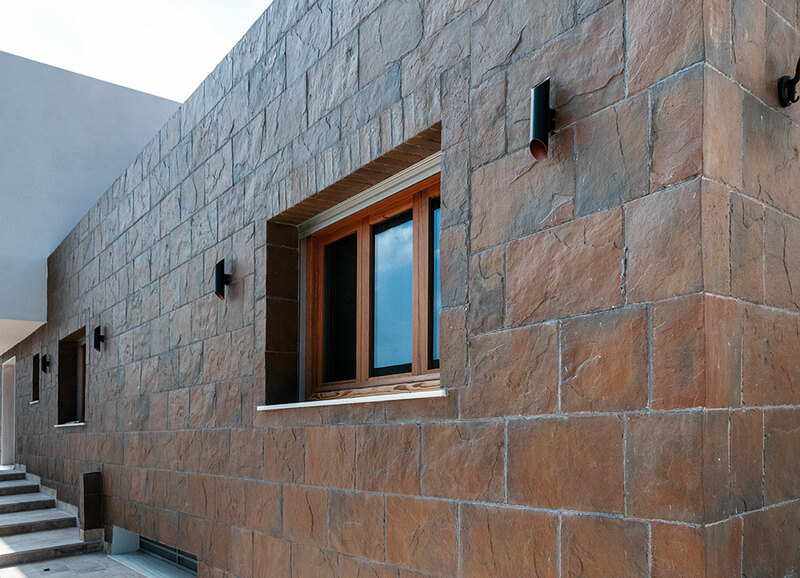 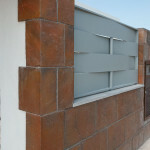 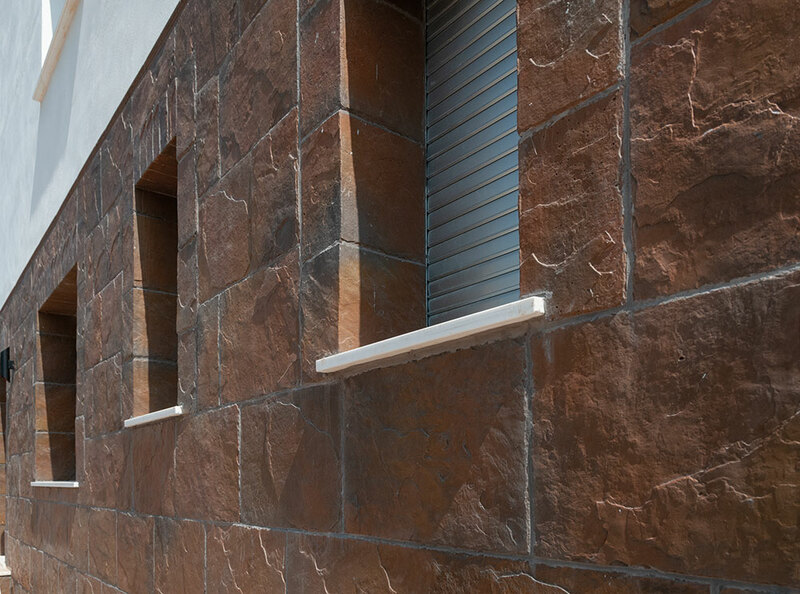 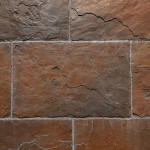 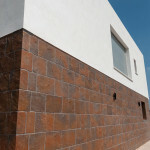 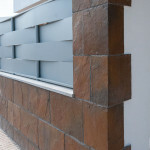 There are special pieces on the corners and in the windows in order to achieve a perfect finish. 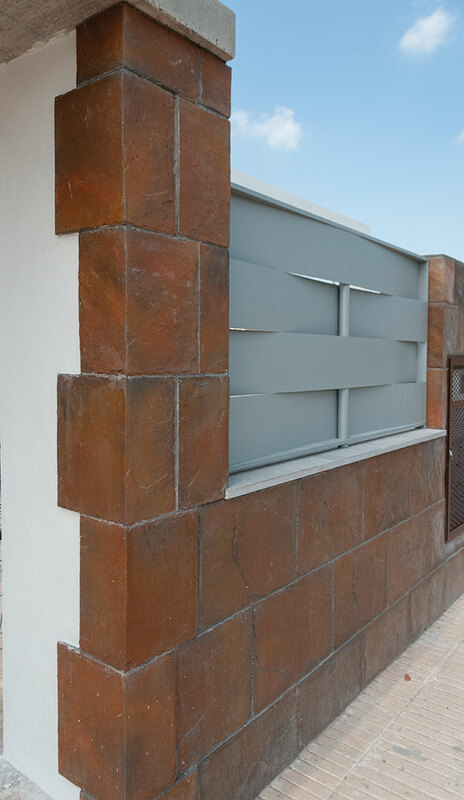 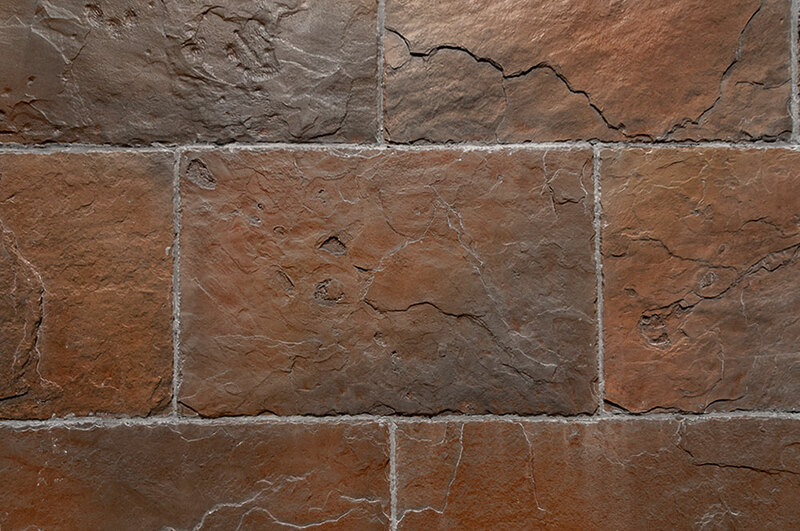 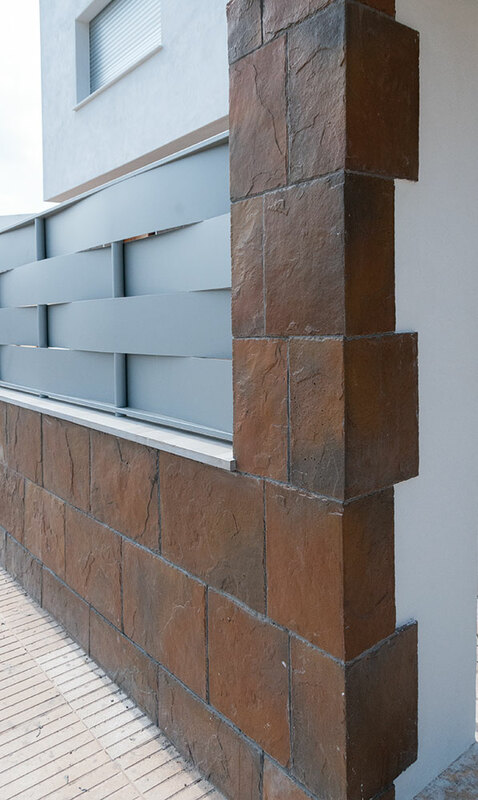 Just like the rest of our wall claddings, this model is suitable both for indoor and outdoor use and it resists perfectly different environmental factors as it has been hydrofuged and coloured in the mass. 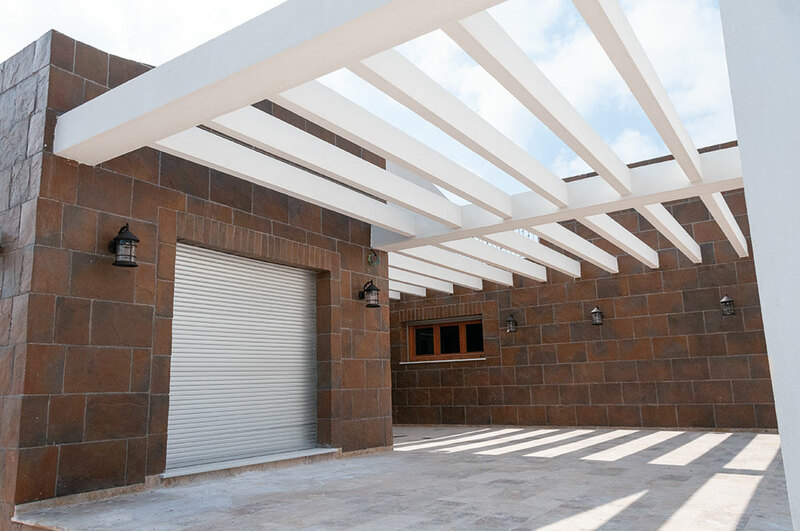 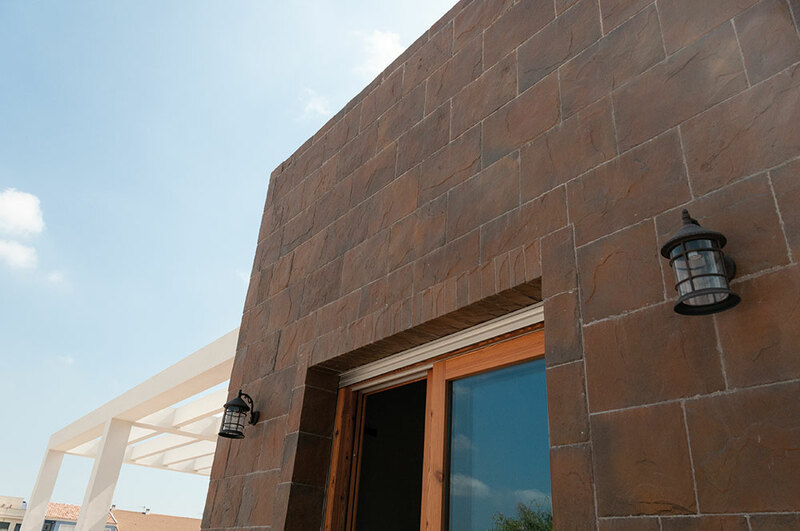 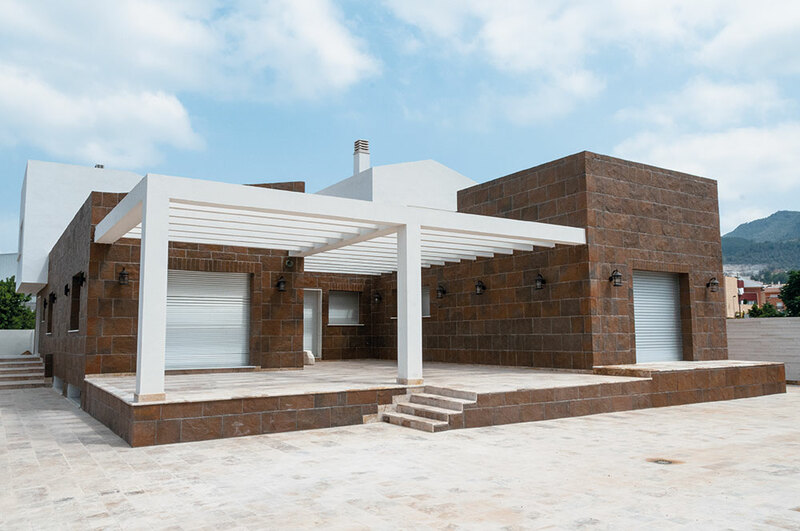 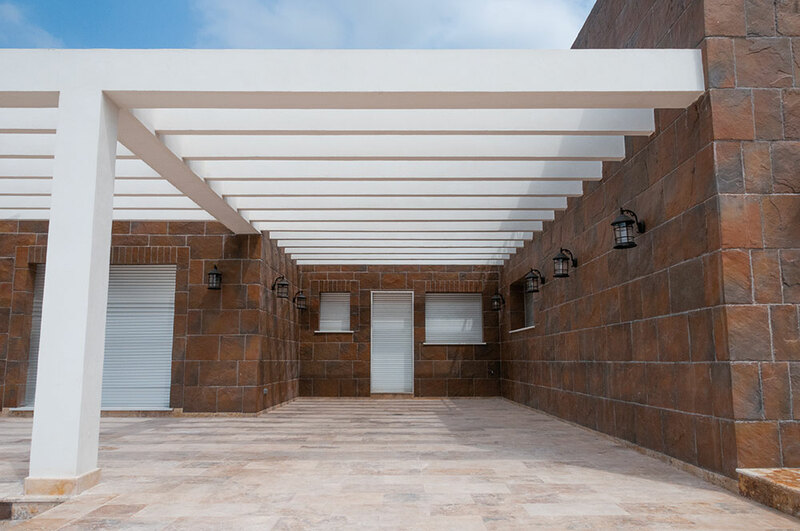 The white, smooth and restrained lines of the upper floor, the porch pergola and some other details combine impeccably with the texture and relief of the stone and its intense cupper colour inspired in the earth and oxide. 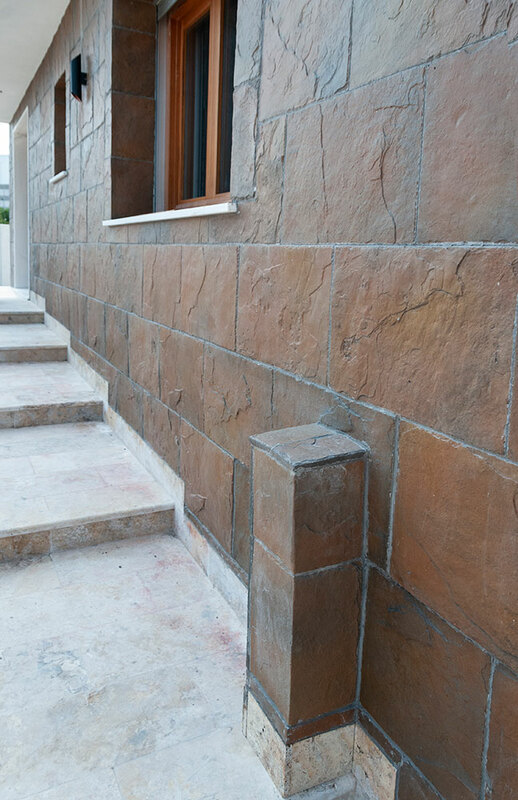 The exterior flooring, made of natural marble, concludes this harmonic complex where nature and modernity blend.